Summer get-togethers don’t have to be elaborate, and they don’t have to be centered around the grill, either. 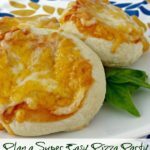 Have your child(ren) choose a couple of friends and follow these tips to plan a fun Make Your Own Mini Pizza Party. It’s super simple with Rhodes Bake-n-Serve Dinner Rolls. I’ll tell you more about those in a minute, but here’s how to get started. Go shopping with your kids to pick out toppings. Encourage them to choose healthy veggies like peppers, olives and fresh roma tomatoes or even pineapple for a tropical pizza. Then be sure to load up on cheese! Mozzarella melts so wonderfully, but other cheeses like Colby Jack are great choices, too. Stop by the deli and ask for a bit of thinly sliced ham to go with that pineapple. Pepperoni is a must for meat-lovers, too. Grab a jar of store pizza sauce, and then pick up a bag of Rhodes Bake-n-Serve Dinner Rolls in the freezer section. 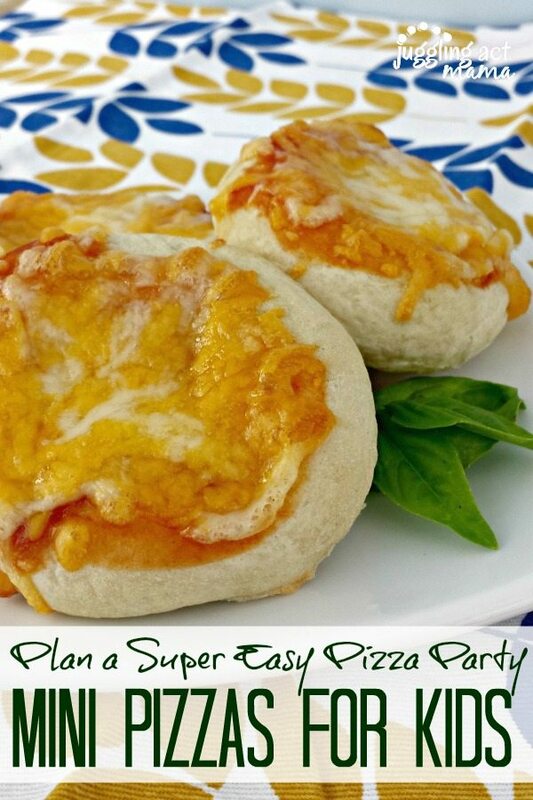 Make Your Own Mini Pizza Party. It's super simple with Rhodes Dinner Rolls. Prep all the toppings ahead of time. Cover and refrigerate the bowls of meat, cheese, veggies. Thaw Dinner Rolls (see package directions) Plan on 2-3 rolls for younger children, 4-5 for older children and adults. To prebake the dough: Preheat the oven to 350 degrees. Line your baking sheets with parchment paper. Using your hands, gently stretch dinner rolls into a flat circle. Poke holes using a fork to avoid bubbles. Sprinkle with garlic and Basil. Partially bake for about 10 minutes until the rolls are cooked through. Do not overbake! 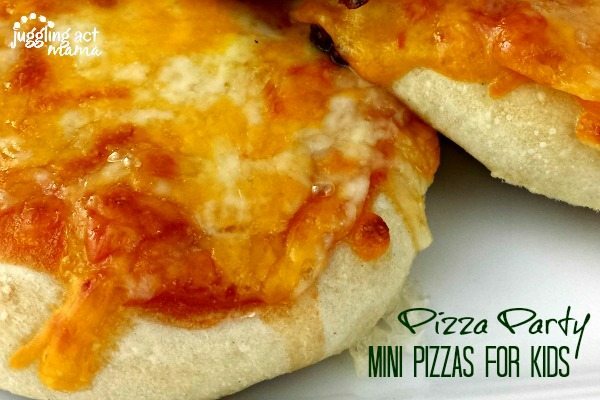 Let the pizza crusts cool before storing in an airtight container or bag. Arrange topping ingredients for guests. Place on a sprayed baking sheet. Spread each roll with sauce and cover with desired toppings. Sprinkle with cheese.. Bake for 10- minutes at 350 degrees until the cheese is melted and the crust is slightly golden brown. 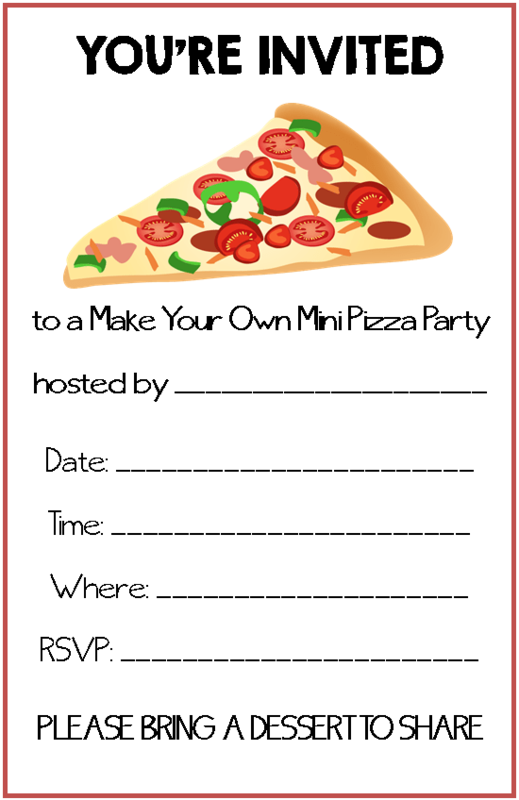 Use this cute and FREE printable invitation to invite your friends! If you give it a try, be sure to leave me a comment and let me know what you think, or post a pic on Instagram and tag me at @jugglingactmama and use hashtag #JugglingActMama.